• High quality imported scallops. • Rich in amino acids and nucleic acids. • Rich in variety of minerals. 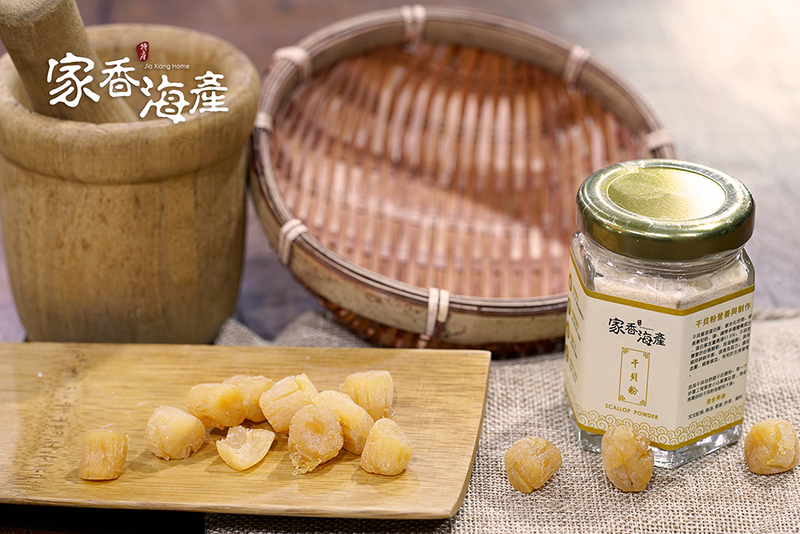 • It is a kind of high quality ingredients that can be compared to abalone or sea cucumber. 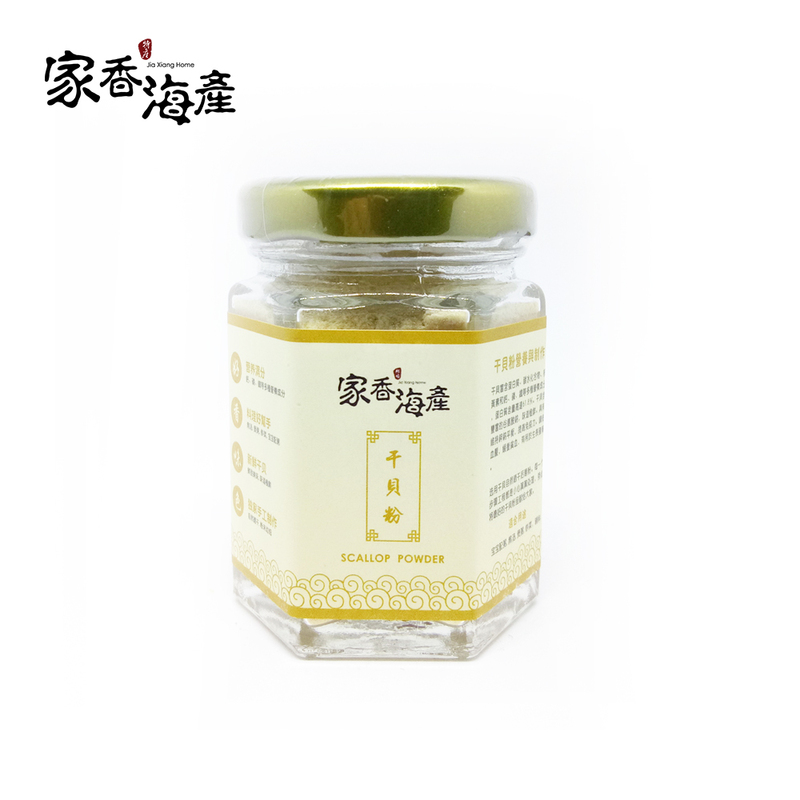 Our seasoning powder is made from 100% pure raw materials. No added salt, no MSG , no additives Therefore, when mothers cook, it is necessary to add the right amount of salt or MSG according to their own taste. From 6 months baby to old man, food supplement to various dishes, or nutrition to taste buds, it is an indispensable health condiment on the table of every household! • A 6-month-old baby can start eating in small quantities, and the weight gradually increases with growth. • Traditional inheritance production method, natural sundried in the environment with good sanitation, and then dried slightly by oven. The scent is more durable than direct baking, and the nutrition is not lost. 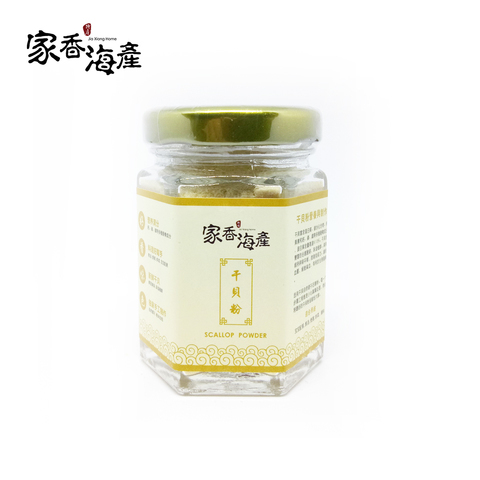 • Uses: baby food (stir with porridge / boil with porridge), steamed dish, soup, fried rice, cooking, stewing, meat seasoning, noodle making, all kinds of cooking. • It's not MSG, it adds nutrients to your dishes and tastes delicious. Do not expose to high temperature and humidity, use a clean spoon to extract, seal and refrigerate. After unsealing and frozen storage for 1 year , as long as no mold. Remember to refrigerate to ensure the freshness of the food.